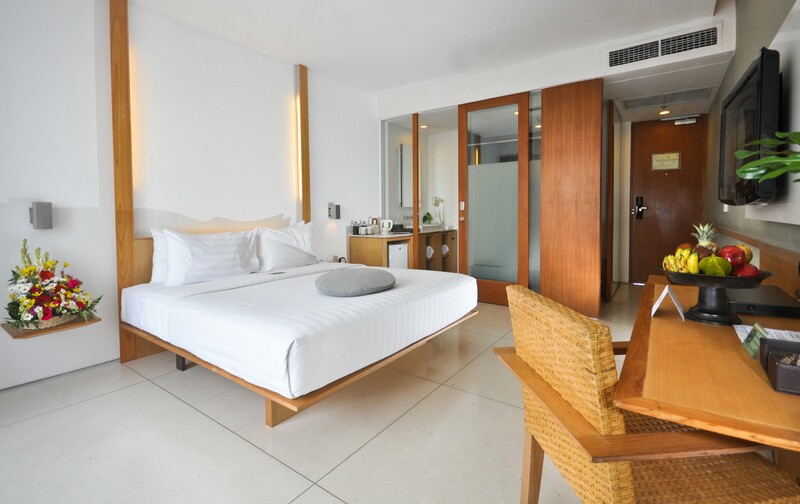 The 93 Haven Rooms are suitable for any traveller, whether in Bali for holiday or for business. Donning a smart, minimalist style, each room is fitted with the necessary modern conveniences: an LCD TV complete with international channels, DVD player, free Wifi, hot beverage facilities and a mini bar. Plush queen or twin beds are available, along with connecting rooms, making it convenient for individual guests and/or families. – Children policy: Complimentary stay without breakfast for children under 12 years old when staying the same room with parents. Extra bed is not included. Found in our suite building, tucked away peacefully in the back of the Haven complex, our 30 Haven Suites are an opulent choice for any guest. Following the property & philosophy of natural elegance, this room is the perfect blend of comfort and contemporary design. The exemplary living area boasts a cool lounge setting with designer sofas and an LCD TV with international channels, but also a fully kitted music system. Also in this generous space sits a 4-person dining table by a stylish kitchenette, complete with an induction stove, large fridge and hot beverage facilities. 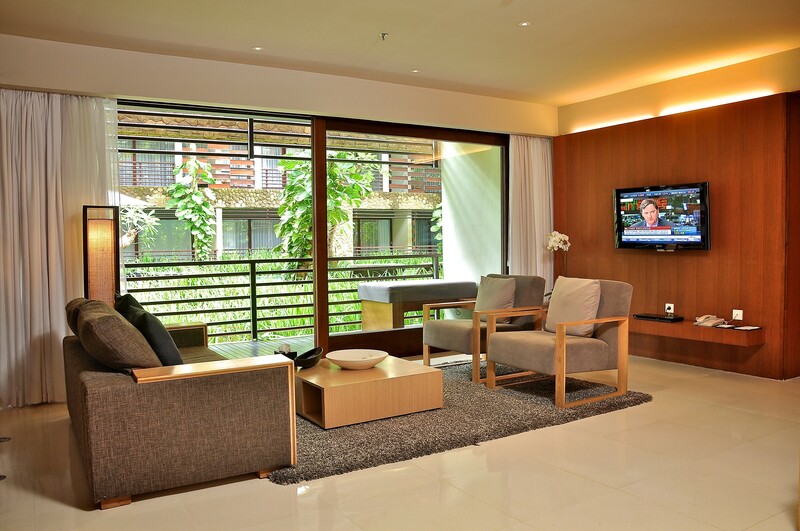 The bedrooms are simply sumptuous with an LCD TV, working desk and walk-in closet in the surrounding area. The Suite bathrooms are grand and house a large bathtub with a rainfall shower.The Suite also has two wide spanning balconies, one of which has a cozy daybed overlooking the Haven pools below. A 4 set lounge, with music facilities and an LCD TV with international channels; dining table big enough for 4 people; and a kitchenette with a fridge, induction stove and hot beverage facilities. 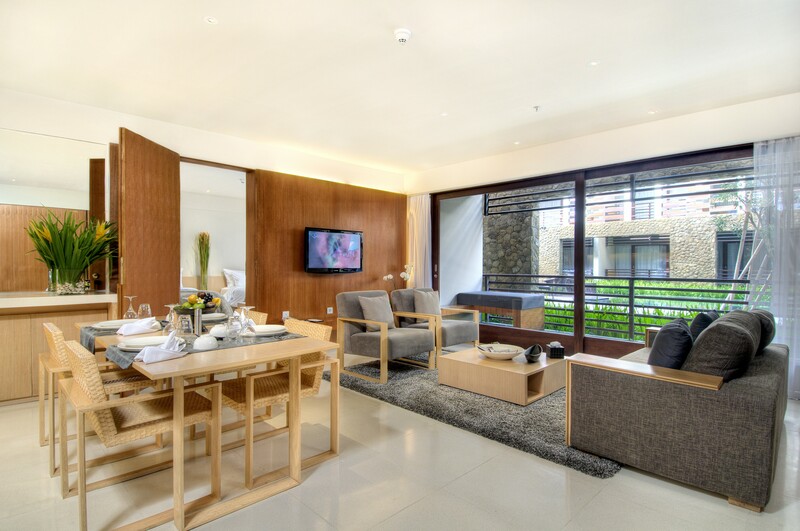 This central area opens up to its own balcony, a favourite spot for guests to enjoy the Bali weather in the comfort of their room. The bedrooms are found either side of the living area, one being a master bedroom with a plush queen bed, LCD TV and an exquisite bathroom with a bathtub, whilst the other has twins beds and a walk in shower. Both have large balconies, with chairs and daybeds to bask in.